EPM Real Estate can help you buy or sell your family home or your Memphis real estate investment property! EPM Real Estate assists buyers and sellers with Memphis real estate investment through the help of our exclusive investor sales representative, Affiliate Broker Glenn Greene. We offer buyer and seller representation services to assist in all residential real estate investment property transactions. Buying or Selling Memphis Real Estate? EPM Real Estate agents can help buyers find the perfect home and help sellers find a buyer for your home for sale. Our unique relationship with real estate investors gives you the additional benefit of our network of possible buyers and sellers. So whether your are buying or selling a family home, our experience will assist you in getting results fast. Contact us today to see how we can assist you. Have a rental property or purchasing for the rental market? EPM Real Estate can assist you with your functional rental property and help sell it to another investor, often while rented and cash flowing. If Enterprise Property Management, Inc. has been managing the house your have for sale, then we will have years of repair and maintenance records easily accessible for buyers to see before purchasing. We also retain extensive data on property rental values and trends. The EPM Real Estate team can help you ensure a seamless transition from purchase to management of rental property or in the sale of existing Real Estate managed properties from seller to investor purchaser! Understanding cash flow and the ease of real estate investing in the Memphis area! Let Glenn help you understand cash flow and the ease of real estate investing in the Memphis area. Glenn Greene has assisted investors in the acquisition of dozens of houses, he has assisted buyers in locating and evaluating potential rental property, and has helped several real estate investors in the sale of their houses to other investors or on the open market. Why reinvent the wheel by taking a guess on how well a house will perform as a rental when you can purchase one which has been in a functional and cash flowing rental program for the past several years? Glenn Green is an Affiliate Broker and the exclusive investor sales representative for EPM Real Estate. Born and raised in Memphis, he has an extensive 27 years of experience in business management including real estate, process development, and negotiation. 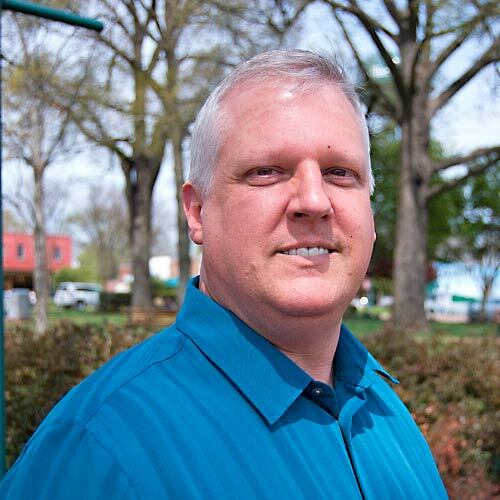 As a REALTOR, he works with clients in the purchase and sale of real estate in throughout the mid-south. Whether buying or selling real estate, he ensures that his clients are provided the best possible representation and achieve the best possible outcome in all transactions. He assists investors in locating and purchasing properties which align with their investment objectives. He also assists investors in selling properties by properly preparing the properties for market, creating dynamic listings to attract buyers, and also by marketeting those properties directly to other investors with whom he has long standing relationships. His career began in the military. As a small unit leader in the US Army’s 1st Ranger Battalion, he developed a very high set of ethical standards of conduct. After studying business management during his tour of duty as a Ranger, in 1988 he began a 21 year career in business management. Now, after years of working with real estate agents in the short sale process of loss mitigation, he made the decision to obtain his Tennessee state real estate license and move into residential real estate sales. Brett is a native of Louisiana, Attended Louisiana State University and relocated to Memphis after Hurricane Katrina. Prior to relocating to Memphis Brett worked in Real Estate investment and land Development having purchased and managed hundreds of properties in the Baton Rouge area. recourse liquidation and profiting in a down market. an affiliate broker with EPM Real Estate, a division of Enterprise Property Management. Note: Please be advised that EPM Real Estate, Inc, its Principle Broker or licensed agents may receive a referral fee or commission stemming directly from any single purchase or sale transaction of a property(s) stemming from the direct or indirect referral of any licensed Realtors, considered as referral agents, for the purpose of buying or selling investment real estate, or the referral or recommendation to other agents pursuant to the transaction real estate sales, purchases or leases, but also the use of services of another licensed Realtor, or licensed real estate brokerage in which the licensee has an interest or from whom the licensee may receive a referral fee or other compensation for the referral of a client. Like To Receive Information About Latest Investment Properties?